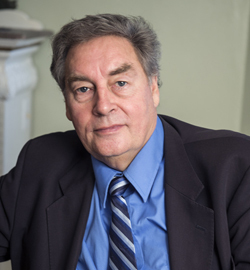 Prof Paul Connett is the former Director of the Fluoride Action Network (FAN), and the Executive Director of its parent body, the American Environmental Health Studies Project (AEHSP). 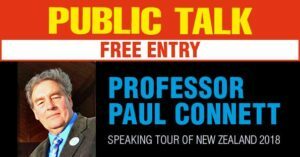 Prof Connett arrives in New Zealand on 8 February 2018. This year he will be speaking in non-fluoridated areas to alert people to the fact that there is legislation going through parliament that would make fluoridation compulsory. With the Government proposing mandatory fluoridation to these areas many people will be wanting to know the facts about fluoridation.Please support Fluoride Free NZ in bringing Prof Paul Connett to New Zealand by donating here. The Title of Prof Connett’s presentation is Fluoridation Must End – Harm to IQ, Health & the Environment. 14th February Wairarapa News Is water fluoridation effective?